Grandma who likes to sew really loves her lazy susan, so we went ahead and kept that for the shelving inside the cabinet. But inside is a little different. 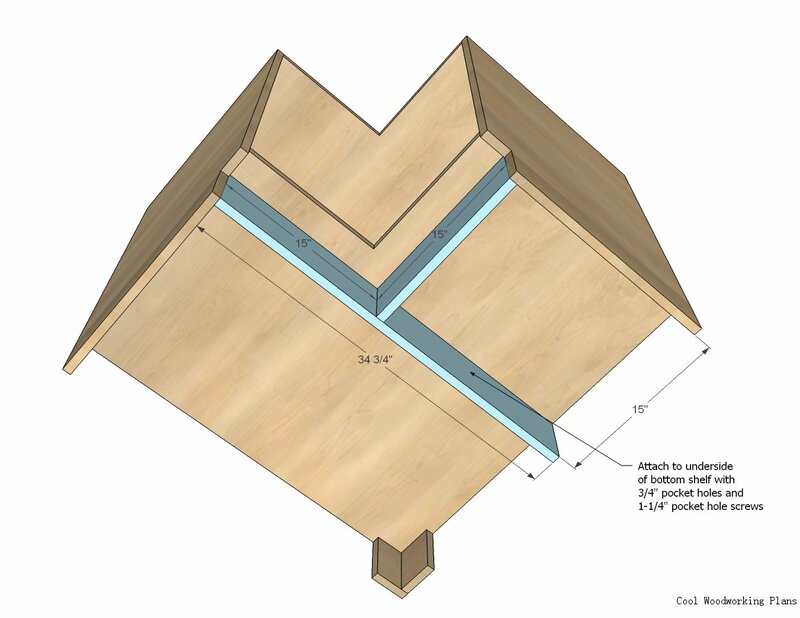 The tops and bottoms are both made of finished plywood (see step 1 on how to get all the 3/4″ plywood pieces on one sheet of plywood). 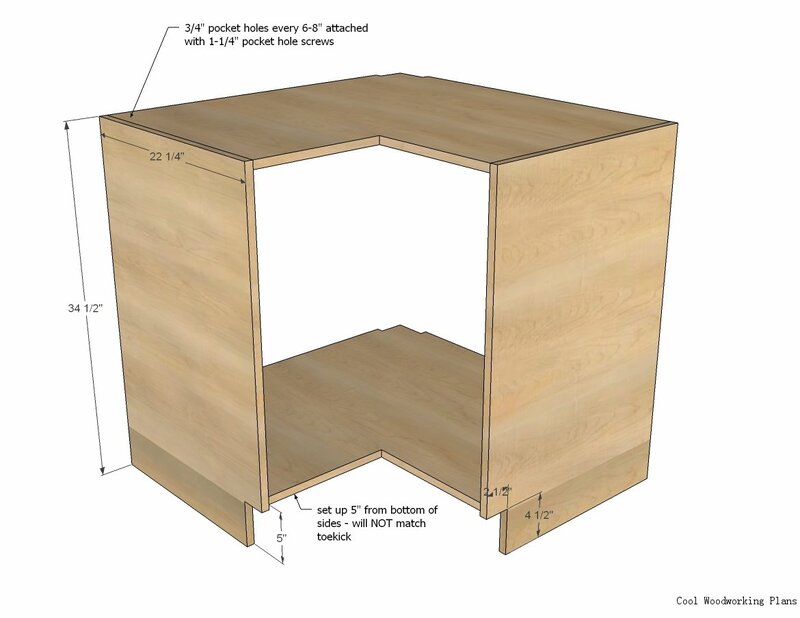 And the back is 1/4″ plywood – to match the rest of the cabinets. Check out the plans for this easier to build 36″ base kitchen corner cabinet below, and also the original plans here. 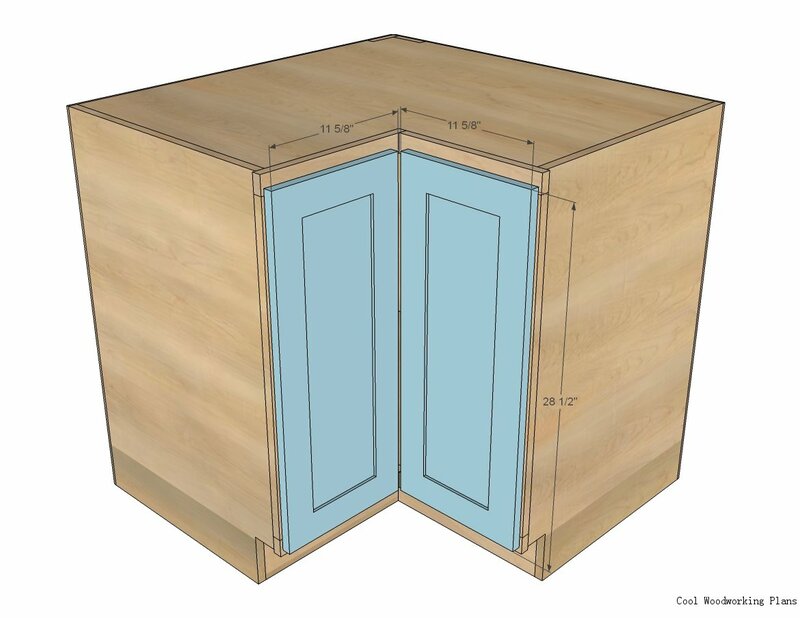 And also check out the tutorial on adding hinges and doors to this cabinet here. Thanks so much for reading – hope you find this plan useful! 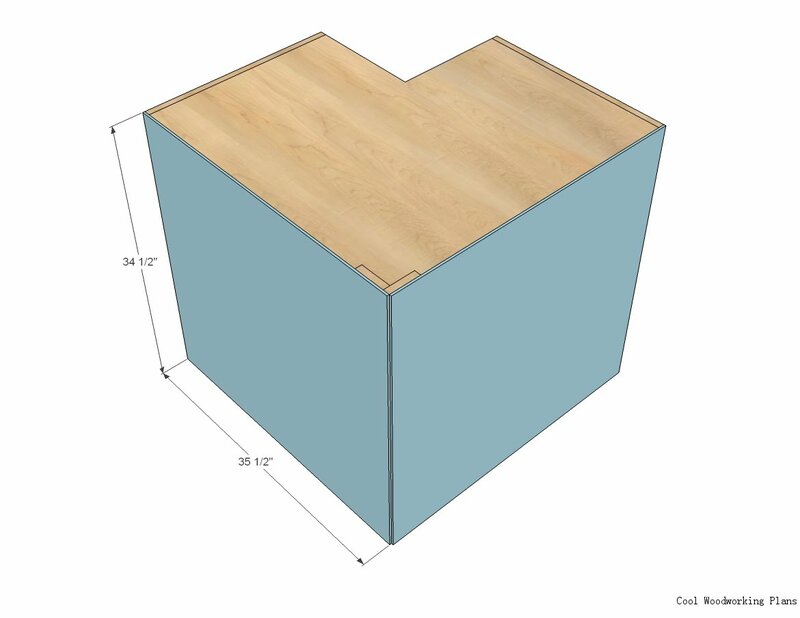 You can get all the pieces cut from a single sheet of plywood if you are careful. 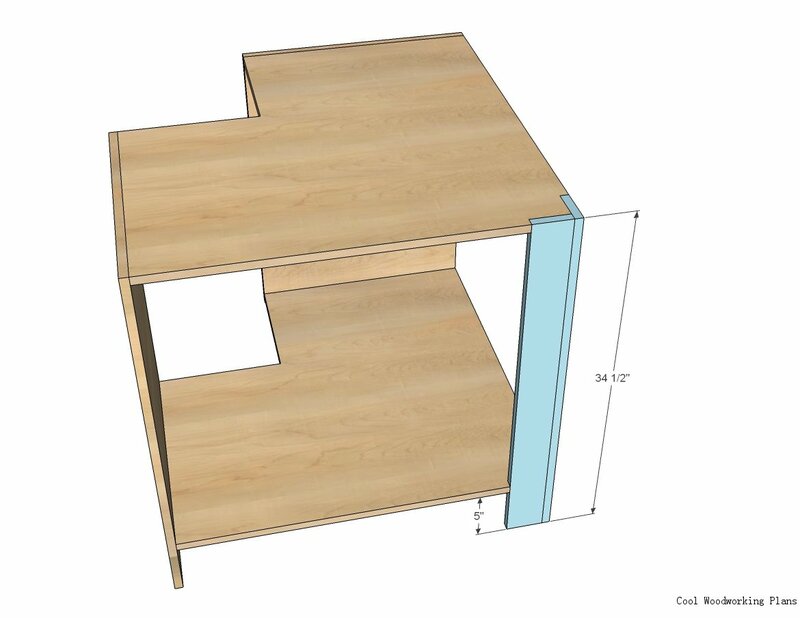 I’d cut the bottom off first for the two sides at 34-1/2″, and then cut the two side out of the remaining pieces. You’ll have to use your jigsaw to cut the toekicks and inside corner of the top and bottom. See step 2 and 3 for sizes on the top, bottom and sides. The back corner of the top and bottom needs to be notched out for the back supports. We used the scrap piece of plywood from ripping the sides (about 3-1/2″ wide) for these pieces, but you could also use 1×4 boards. 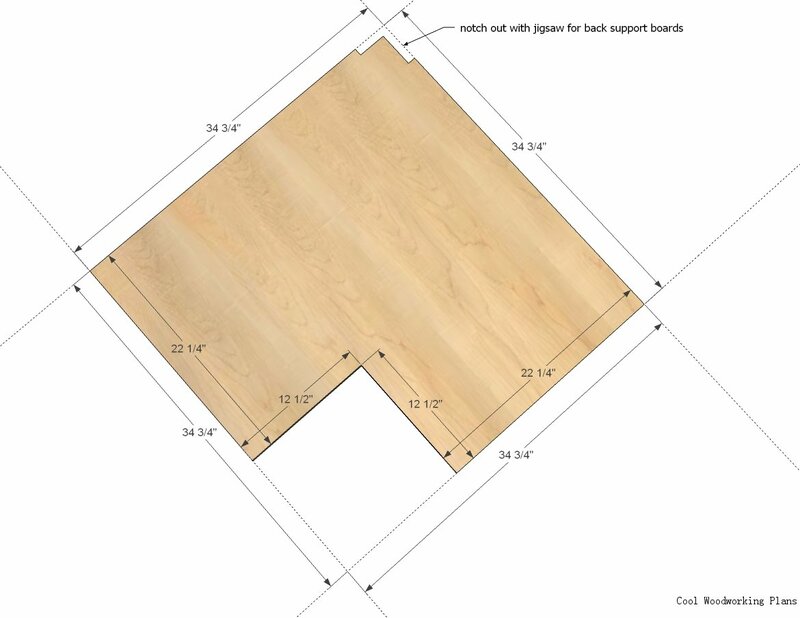 Notch out with a jigsaw to fit the boards. TIP: Before assembly, drill 3/4″ pocket holes on outsides of sides, top and bottom for attaching face frame in later steps. 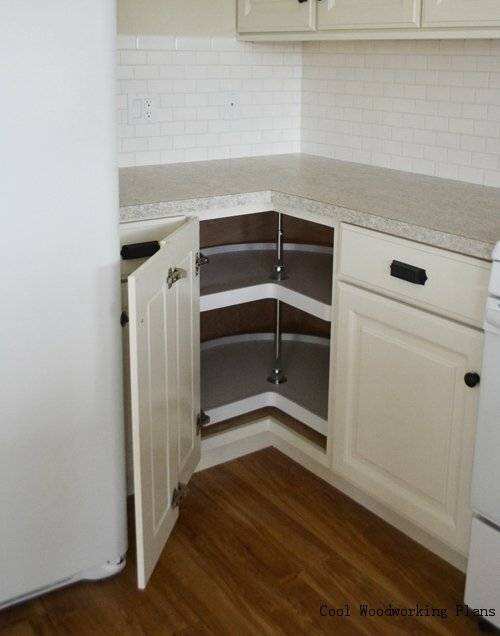 Attach top and bottom to sides, leaving a 5″ gap underneath bottom shelves. 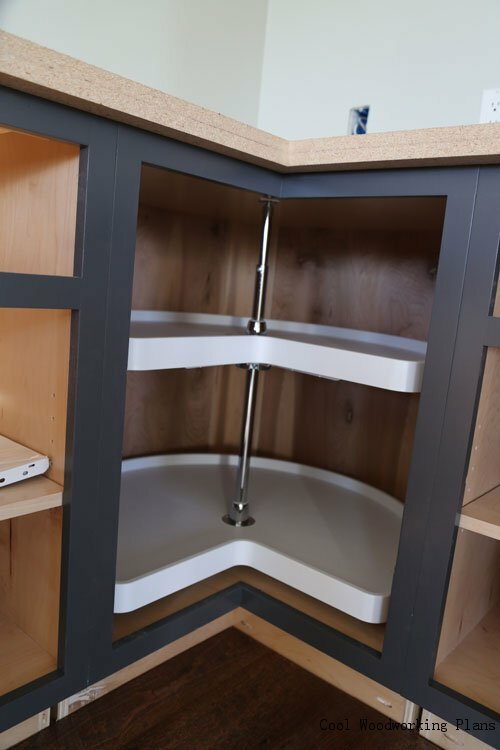 Attach back to the top and bottom, leaving a 5″ gap underneath bottom shelf. Attach bottom supports to base. 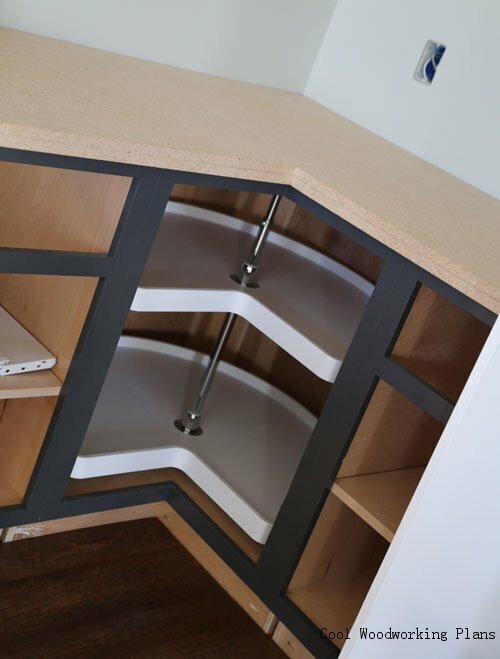 Attach 1/4″ plywood to back with finish nails and glue – we use 3/4″ finish nails. 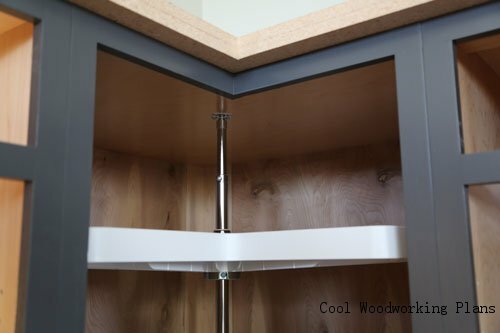 Build the face frame separately, and then attach to front of cabinet. 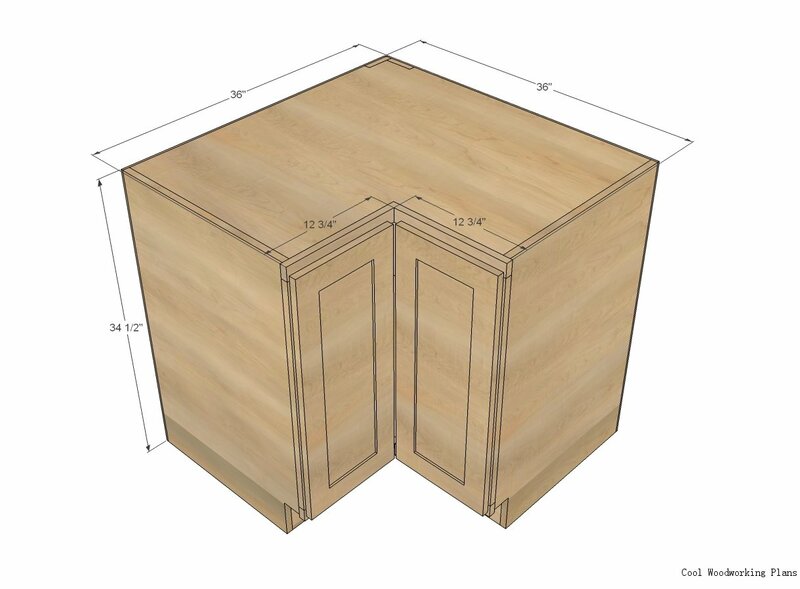 Note that the face frame overextends the sides of the cabinet by 1/4″. 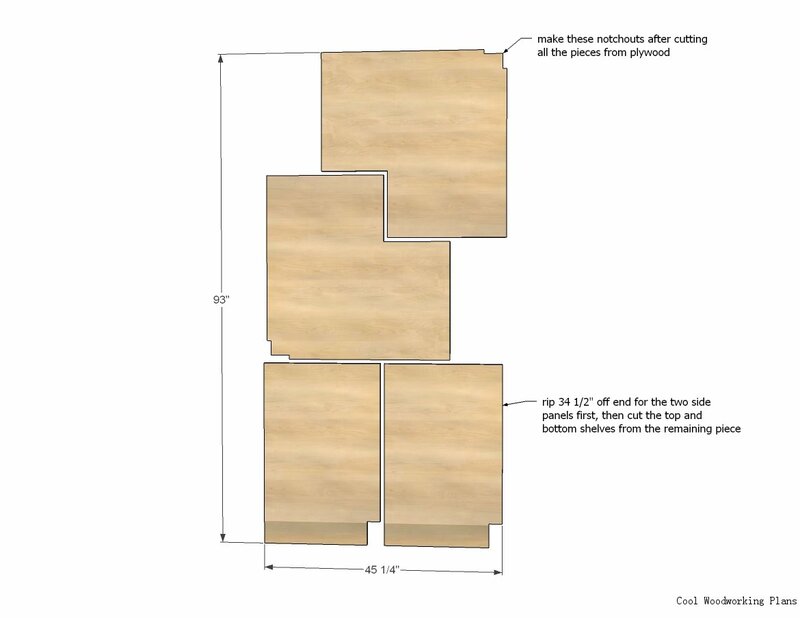 We used full overlay doors – here’s the sizes we ordered.